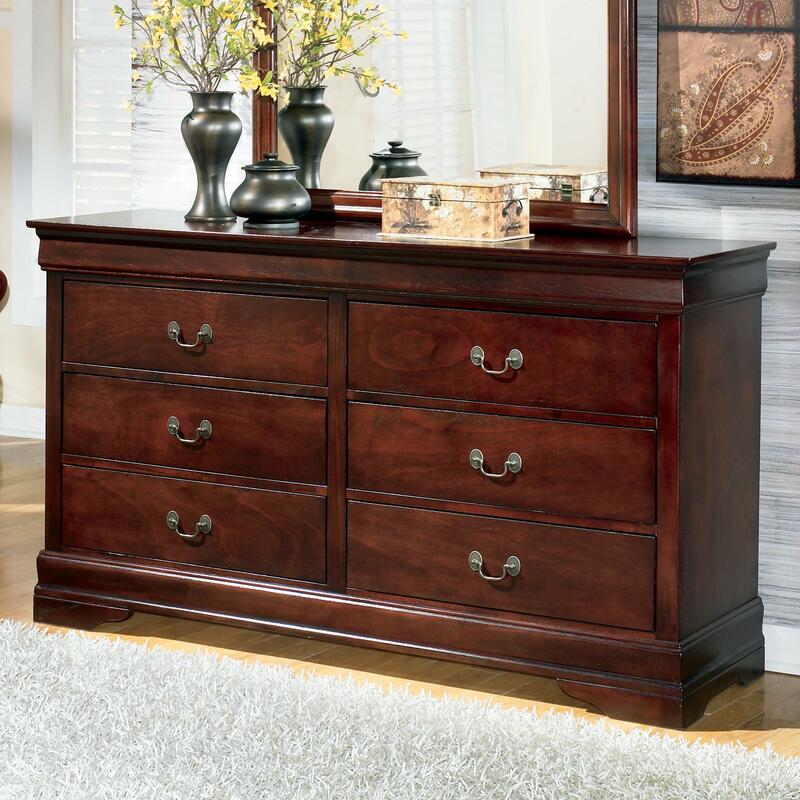 This dresser's Louis Philippe inspired details add storage with traditional appeal to any bedroom space. 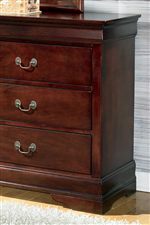 Constructed of select veneers and hardwood solids in a warm dark brown finish, the spacious dresser offers six drawers for clothing storage needs. Shaped molding, bracket feet, and the classic sophistication of antique bronze color bail hardware complete its relaxed yet timeless style. The Alisdair Traditional Dresser with 6 Drawers by Signature Design by Ashley at Sam Levitz Furniture in the Tucson, Oro Valley, Marana, Vail, and Green Valley, AZ area. Product availability may vary. Contact us for the most current availability on this product. The Alisdair collection is a great option if you are looking for Transitional furniture in the Tucson, Oro Valley, Marana, Vail, and Green Valley, AZ area. 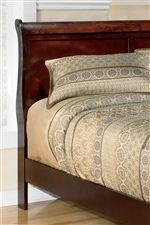 Browse other items in the Alisdair collection from Sam Levitz Furniture in the Tucson, Oro Valley, Marana, Vail, and Green Valley, AZ area.